Are Food Sensitivities Behind Your Migraines? 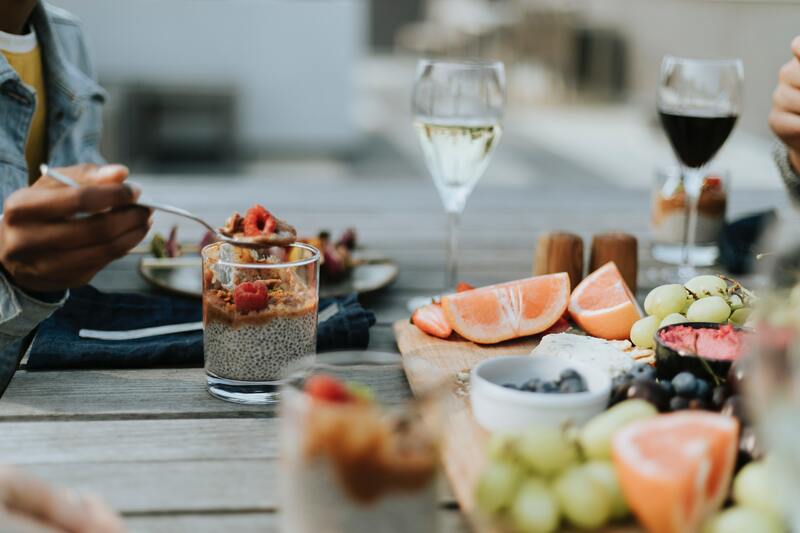 Read on to explore the connection between food sensitivities and migraines. To begin, let’s clarify what exactly a food sensitivity is. The immune system is usually very effective at protecting your body against threats like germs and toxins. But if you have food sensitivities, your immune system mistakenly “thinks” that certain foods are dangerous to your body. It then reacts to the supposed threat by releasing IgG antibodies – and other substances – into the bloodstream. Ultimately, this immune response can result in any number of unpleasant symptoms, including migraines. If you have food sensitivities, your immune system mistakenly “thinks” that certain foods are dangerous to your body and releases IgG antibodies into the bloodstream. This immune response can result in migraines. It’s important to keep in mind that a food sensitivity is not a food allergy! Food allergies involve IgE antibodies (not IgG antibodies). Also, food allergies can be immediately life-threatening – which isn’t the case for food sensitivities. And food allergy symptoms appear almost as soon as you’ve eaten something you’re allergic to. But if you have a food sensitivity, you might not experience any symptoms for several days. Several lines of research show that IgG reactivity to various foods is linked with migraines. In one study, researchers found that individuals who regularly experienced migraines were more likely to test positive for IgG reactivity to common foods . In addition, people with migraines had IgG reactivity to a much greater number of foods compared to people in the control group (who didn’t experience migraines regularly). Several lines of research show that IgG reactivity to various foods is linked with migraines. Impressively, more than 75% of people in the migraine group no longer experienced regular migraines after doing a food elimination diet guided by the IgG test results. In another study, researchers discovered that an IgG-based elimination diet – carried out over 6 weeks – effectively reduced the number of headache days and migraine attacks in a group of migraine patients . 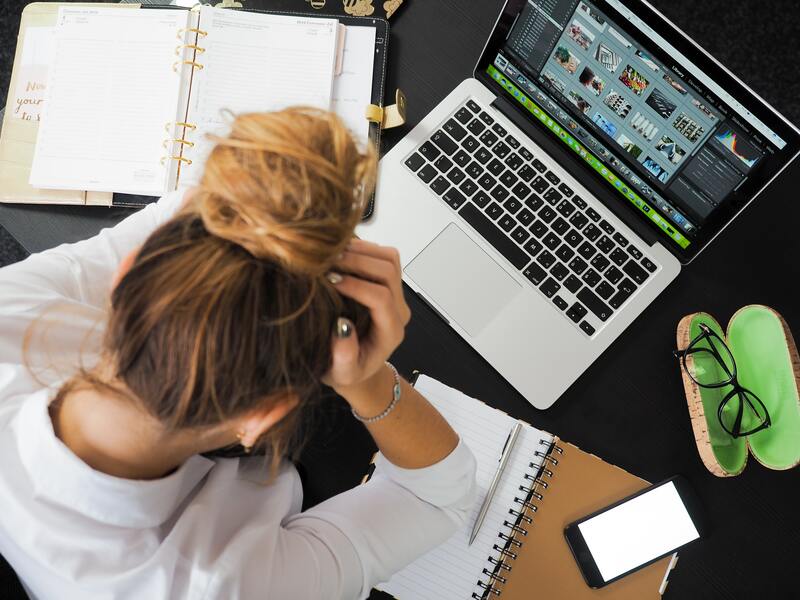 A number of scientific studies – as well as personal experiences – thus suggest a connection between IgG-based food sensitivities and migraines. So how can you put that information to practical use if you suspect a food sensitivity is lurking behind your migraine attacks? You can use an elimination diet to identify the foods that are potentially behind your migraines. How does this work? Basically, in an elimination diet you start by removing foods you think might be responsible for your migraines – and you don’t eat any of those foods for about 2-4 weeks . Then, one at a time, you add each eliminated food back to your diet while watching for migraines over the next few days. If migraine symptoms pop up, you’ve possibly found a food that’s at fault. An elimination diet done this way has some drawbacks. For example, because food sensitivity symptoms often take days to appear after you’ve eaten the “offending” food, it can be hard to make a good guess about what foods are actually responsible for your migraines. So you can wind up eliminating a lot of foods that actually aren’t causing any issues. As a result, it can take a long time to finish the elimination diet. There’s a shortcut, though: an at-home Food Sensitivity Test. EverlyWell’s Food Sensitivity Test reveals your IgG reactivity levels to 96 different kinds of food. The IgG reactivity levels are broken down into four different categories, ranging from Low to High reactivity. EverlyWell's Food Sensitivity Test can cut down the amount of time you need to carry out an elimination diet. This information by itself, however, won’t tell you precisely what foods cause your migraines. That’s because high IgG reactivity levels don’t result in migraine symptoms 100% of the time. But there’s often a strong link between IgG reactivity to certain foods and migraines – as shown by the studies discussed above. So this test can be an easy-but-powerful way to narrow down the number of foods you initially eliminate from your diet (before you add them back one by one). It can thus be a huge time-saver – a reliable tool that, when paired with an elimination diet, can help you quickly pinpoint migraine-causing foods. 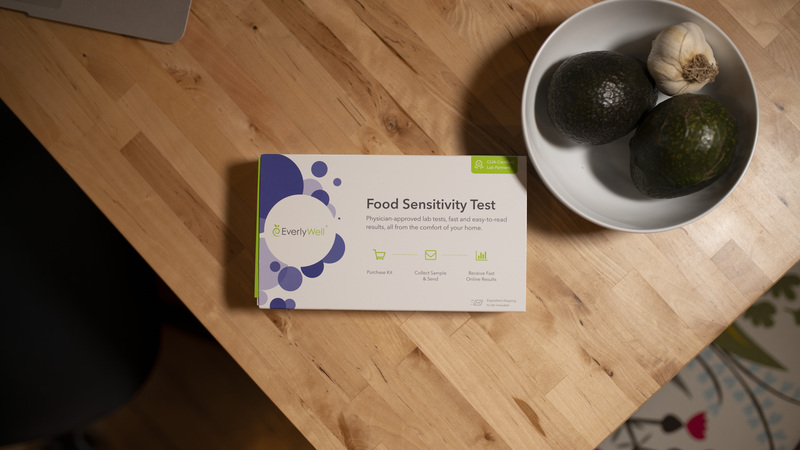 Using EverlyWell’s Food Sensitivity Test results to guide your elimination diet can be an effective, easy way to pinpoint your food sensitivities – and you can do it all at home (instead of going to a lab or clinic for IgG testing). If that’s something you’re interested in, simply go here now to learn more about this at-home Food Sensitivity Test. 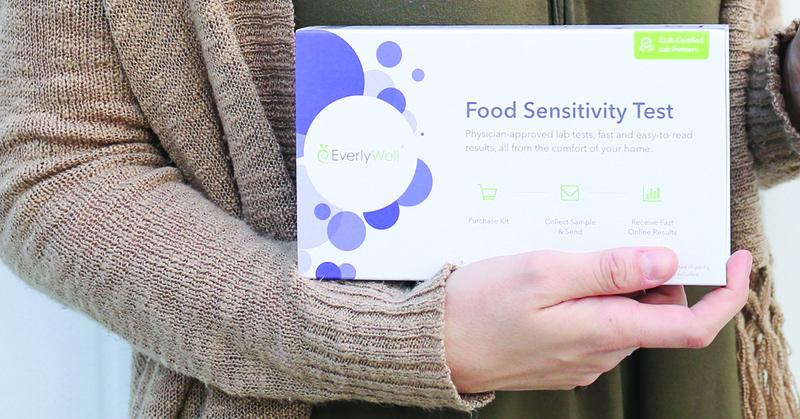 Using EverlyWell’s Food Sensitivity Test results to guide your elimination diet can be an effective, easy way to pinpoint your food sensitivities.